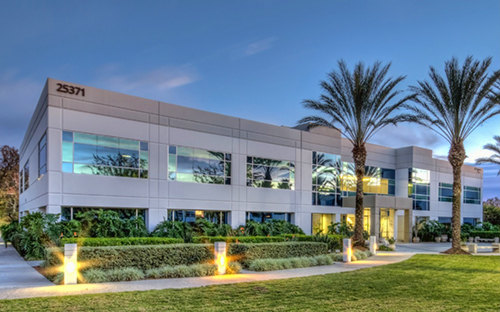 Harbor Associates LLC has acquired its third SoCal office asset in the last two weeks. In this latest buy, the company paid $5.55 mil for 25371 Commercentre, a 37k sf ($149/sf) building in the South Orange County community of Lake Forest that will be converted into a Class A creative office project. Originally constructed in 1999, 25371 Commercentre will undergo extensive upgrades. The redeveloped project will feature a renovated two-story lobby and new, boutique hotel-style restrooms with communal gathering areas on both floor. Harbor will also spec creative suites ranging in size from 4k sf – 18k sf with 14-foot high exposed wood ceilings and concrete floors. 25371 Commercentre benefits from its location and visibility off of Bake Pkwy, a major street that provides immediate access to Interstates 5 and 405 and the 241 toll road. The property is centrally located near area amenities and mass transit including the Irvine Spectrum outdoor mall, Foothill Ranch Towne Centre and the Irvine Amtrak/Metrolink station. Brian Cole and Jeff Carr of CBRE represented the buyer and seller in the transaction. Brian Eisendrath, Brandon Smith and Ross Moore of CBRE arranged the debt financing for the project. The buy comes on the heels of Harbor’s creative office purchase of 14201 Franklin Ave in Tustin and 5280 Carroll Canyon in San Diego, both of which were reported on RENTV at the time. Harbor tells us they’re looking to reach an acquisition goal of $250 mil by year-end 2016.